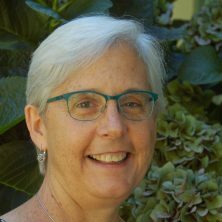 Liz Fouther-Branch, is a retired educator turned consultant that has spent more than 40 years working and volunteering for arts and youth development organizations. The last 20 years have been spent consulting on arts education programming and development, social justice, capacity building and advocacy. Liz has served on several local committees: City Club’s Homelessness Advocacy Committee, Regional Arts and Culture Council’s Mural Committee, McKenzie River Gathering “Justice Within Reach!” and Grantmaking committees, Social Venture Partners, Equity, Diversity and Inclusion committee and Multnomah County Citizens Involvement Committee (CIC) as well as the CIC-Non-Departmental Budget Committee. She is also a registered Yoga instructor, recently certified as an Accessible Yoga Ambassador and is seeking her “Yoga For All” certification. In her spare time, she enjoys researching family ancestry and crochet. Mario joined MRG’s board in July, 2018 having worked with MRG through our Capacity Building Initiative for his group Lotus Rising Project (LRP). He is a co-founder of LRP, to fill a need for a community organization to help LGBTQ in the Medford area via social justice and services. 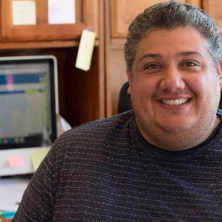 Mario is the Executive Director of LRP and an alum to the Sexuality and Gender Alliance youth group and to LRP’s Youth Empowerment Theater program. He is a Board member for the Rogue Action Center, also a MRG grantee. Mario lives with his partner Mike with their beautiful daughter, Addison. He enjoys spending free time doing yard work and being outdoors. 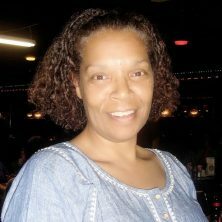 Kim Thomas works as a consultant providing strategic advising and support for nonprofits and philanthropy. 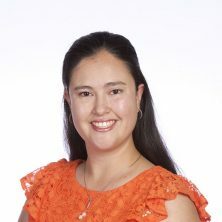 From 2006-2015, she was a program officer for Meyer Memorial Trust (MMT), where her personal interests were in seeding authentic funder collaborations and helping break down the barriers between philanthropy and the nonprofits and communities they serve. Prior to her work for MMT, Kim worked for 16 years at Oregon Food Bank (OFB), leading OFB’s advocacy and public policy work to address the root causes of hunger as well as supervising relationships with 18 regional food banks and over 800 local member programs across Oregon and Southwest Washington. Dani Bernstein brings more than a decade of experience in advocacy, volunteer management and philanthropy to their work on the board. Dani is currently the Executive Director of Multnomah County’s Office of Community Involvement. Their career began working as field staff for marriage equality campaigns, organizing in California, New Jersey and Oregon to build strong volunteer bases to advocate for marriage equality and LGBTQ justice. In 2010, Dani moved to Oregon permanently and started working for the Oregon Bus Project, a youth civic engagement nonprofit. 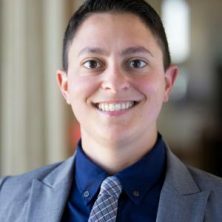 Before joining Multnomah County, Dani served as the Acting Executive Director of the Equity Foundation, a local LGBTQ community foundation.They live in NE Portland with their wife, Rachel, and dog, Asher. Ryan Curren joined the board in April, 2018 to work through MRG to support groups around the state working for racial justice and beloved community. His job is with the City of Portland Bureau of Planning and Sustainability where he is leading the development of the SW Corridor Equitable Housing Strategy. His work focuses on where affordable housing policy intersects with land use, economic development, and transit policy. Prior to this position he worked for the Portland Office of Equity and Human Rights leading the city-wide effort to develop racial equity plans for all City bureaus. 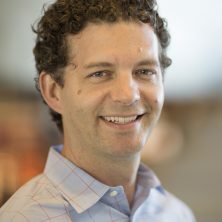 Before moving to Portland he was a Senior Community Development Specialist for the Seattle Office of Housing where he managed an anti-displacement strategy in Southeast Seattle and worked with the City’s Race and Social Justice Initiative to co-develop the City’s Equitable Development Initiative.